Bottom line, if you’re online for whatever purposes – you need content marketing. You’re setting up a WordPress blog or a website, thinking about publishing content, attracting target audience… Precisely where content marketing strategy comes in. Cause, just having a site isn’t enough. You need a proper approach to attract the right people and drive them to your site. And that is precisely what I’m covering in this week’s article. Now, I’ve been in the content marketing business for quite some time. All the way back from 2007., with so many different rules and guidelines to follow. This article will cover all the basics and everything I know to help you develop a proper WordPress content marketing strategy and make a success with it. But, before that, the basics. Basically, it’s a legit way to promote your goals, your business through targeted content you produce. Unlike the traditional form of marketing, content marketing isn’t about direct selling, but instead generating relevant value for the target audience as the first goal and introducing the product/idea/whatever your end goal is, as a helpful solution to whatever is that audience needs. Its primary goal is to educate, enlighten, entertain. Why use content marketing as a way to go? Simply put, people are fed up the traditional way of promotion and upsell. You know, those aggressive advertisements and over promotional messages. People want common sense, good information, fun, and entertainment. 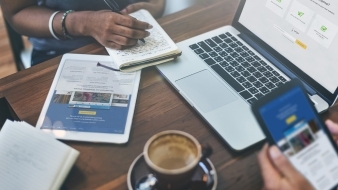 Content marketing can provide it all in the form of an article, blog post, e-book, video, infographic, presentation, newsletter, email and more! You just need to structure it with a good solid strategy and align with your goals. Guys at Moz made a great beginners guide to content marketing worth checking out. 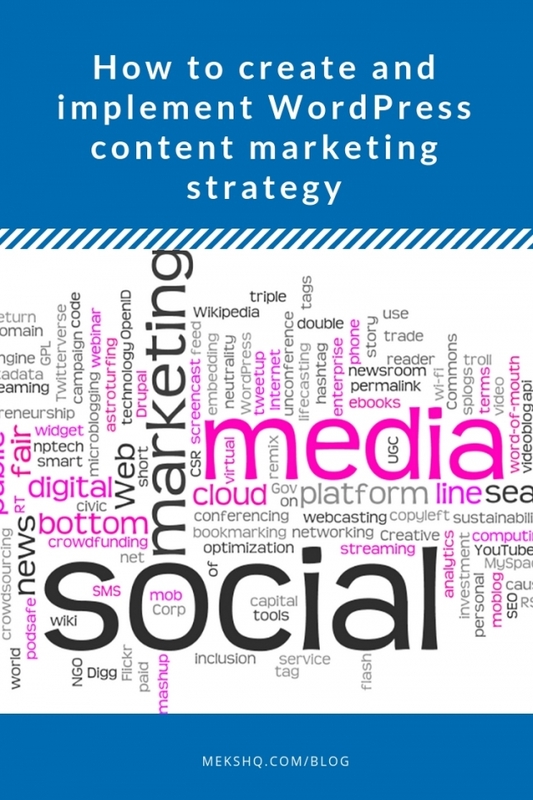 A strategy for content marketing would be to define all the goals for your online presence and the ways to achieve them. So, whether it’s a blog or any type of business, you need a proper from-start-to-finish plan to help you conquer each step. From defining the right platform (obviously WordPress), the right theme that will be the right fit to your needs, to developing the right content that will be both beneficial to your target audience and yourselves. And, with the recent WordPress 5.0 upgrade, Gutenberg and all that, choosing the right theme is a big deal in the overall content marketing strategy. It’s because you need a reliable theme that is Gutenberg compatible, that lets you produce the right content with ease and with more control over it. Luckily, each and every of our premium quality themes is Gutenberg compatible, so feel free to pick and choose any of them and play around seven days for free, before any need to decide. Goals should be relevant to your type of online business. 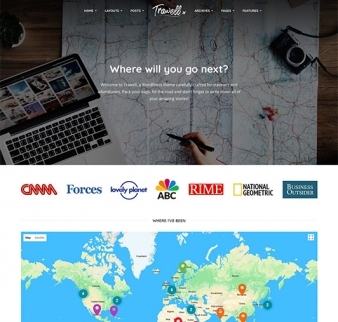 Is it a travel blog and you want to reach more visibility, catch more travel deals and opportunities? Or you’re starting an e-commerce business with WordPress and want to know how you stand in the market? Maybe starting a freelance writing career? Either way, you need to know what your goals are to align them with the relevant content marketing strategy. You know, to attract the right people to your blog, get them to perform specific call-to-action, give value, so you get value too. That way, you can track and measure the outcome and know for a fact that what you do has meaning and is driving you to reach those goals. See also: Do you really need a niche WordPress theme? 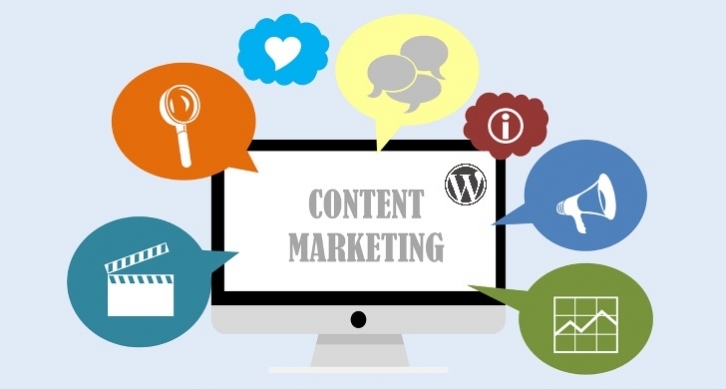 So, how does WordPress helps with a content marketing strategy? Imagine that, in one place, you have a content creation, planning, scheduling, and promotional tool. WordPress is an all-in-one tool that provides you with customizable and flexible ways to create, manage and promote your content marketing efforts towards the target audience. All with the help of the new and improved editor and the right plugins. As I mentioned earlier, there are quite a few content types you can produce that works well with the audience. Once you have your content ideas all in one place, it’s easy to define what type of content to use to produce it. If stuck or in need of inspiration, take a look at this great content marketing templates infographic by Neil Patel. Now, in search of the relevant WordPress content marketing plugins, I discovered If>So Dynamic Content. It’s a freemium plugin that lets you change your content according to the user. That way, you ‘re making personalized content for your visitors, giving them exactly what they need. How? Based on several criteria options, you choose what type of content is shown to whom. All you have to do is select a condition and set the result. The content will be added to your site or will replace existing content if the set condition is met. Pro version comes with more advanced features and options, and the price starts from $139 for a single domain. And what about an editorial calendar, can it somehow be implemented into the WordPress site? Sure can! Editorial Calendar is a free plugin that helps you manage all your scheduled posts from one place! No more remembering if you got the date right, checking if everything is scheduled how it’s supposed to be. Editorial Calendar will keep track of all that; instead of looking at one post at a time, this plugin shows you all of the posts you created and drafted for future use. 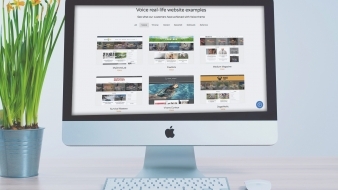 Crosslinking to promote your content marketing efforts? SPINKX is a content marketing platform, a tool that helps you cross-promote your content on other blogs and websites. It works in a way that your content is being promoted on sites and blogs that uses this plugin. And vice versa. With it, you’ll get free traffic and more visibility for your content. Moreover, this plugin has features like automated SEO and backlinking creation, can be used as an affiliate marketing tool as well, and more. It’s a new plugin, but worth checking out. Marketing professionals recommend that, every once in a while, you revive old content and promote it again. It may be within a week, a month, or any other timeline you prefer – as long as it’s still relevant. Now, instead of doing it manually, WordPress has a great automating plugin to help you with it. Revive Old Posts is a freemium plugin that automatically reshares old posts to preferred social networks. Just set up the time and sharing interval and number of posts and you’re done! Pro version comes with more features and customizable options like custom share messages, more social networks to choose from, custom schedule and more. Want to engage the audience through email campaigns? Even that’s possible with WordPress as well. With our MailChimp for WordPress guide, you can easily set up and manage your content marketing efforts, create catchy newsletters or various strategic content that delivers value. SEO and content marketing go hand in hand just because, together, it drives the best results. By combining the right content and optimizing it for both search engines and people you are targeting it with, you’re multiplying your chances for visibility and delivering your message. With the proper keyword research and by implementing all the On-page SEO tactics, you are ensuring your content gets more discoverable organically. Not to mention you will have content that both people and Google like. Also, a plugin like SEO Yoast is a great help when it comes to optimizing your content for Google and the rest search engines. Beside it, there are plenty more SEO related plugins to choose from. 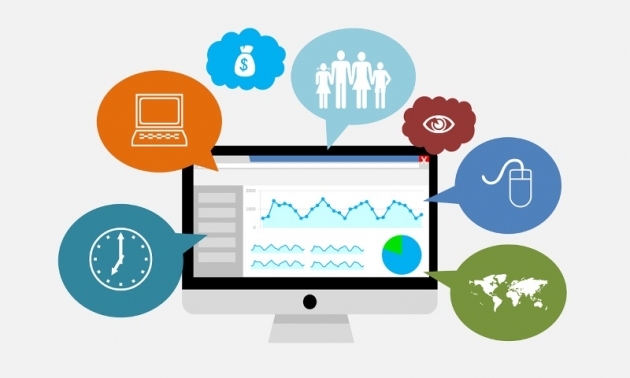 Google Analytics helps you plan and deliver more valuable and relevant content. By monitoring what your visitors click, what type of content resonates with them the best, what keywords and phrases drove them to you, you’ll get more in-depth information that will help you tailor your content and messages better. If you want to improve your visibility, create more awareness around your blog or brand, build authority, increase traffic and get more leads, content marketing is a way to do it all. I hope this guide helps you understand what it is you need to set up a proper content marketing strategy and implement it with WordPress. How to choose the right WordPress theme for your business? Content marketing is an important part of digital marketing, it helps to boost website ranking and get potential results for business. These strategies will help to work more potentially and get desired results. Thanks for sharing, keep sharing new updates. No argue there, Aswani, agree with you 100%. Thanks for stopping by and reading the post, happy to hear you found it valuable. You’re welcome, Ayodeji, happy to help!